Its anti-oxidant effect abolishes free radicals, leaving skin looking clean and healthy with a matte finish. 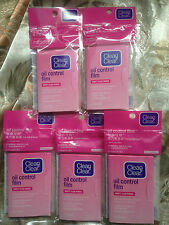 DHC Blotting Paper On-the-go Facial Blotting Papers. Made in Japan. I HATE ALL THE FAKE THINGS. 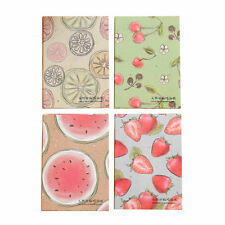 Blotting paper. Marke Shiseido. San Marino and Monaco 5,95 EUR. LiftDynamic Cream. TruStructiv Technology. Smooth evenly over the face each morning and evening after cleansing, softening, strengthening and correcting with Bio-Performance LiftDynamic Serum. Manufacturer Shiseido. Replenishing oils such as evening primrose oil. Manufacturer Shiseido. Future Solution LX. macadamia nut oil, this luxurious oil can. safflower oil, argan oil, jojoba oil and. Skin Type All Skin Types. Content 60 sheets x10. Production Japan. The item includes only the things you can see in the picture. 1 x 50 Sheets Oil Absorbing Paper. Make-up before you wipe the face, can make more impact, natural moving. We will reply you ASAP. 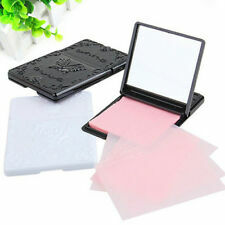 Mattifying face blotting tissues MAT-FIX. Leave thin layer of powder, remove excess of sebum and sweat of the face (shining effect). Type Temporary Tatoos. Custom design your own "ink" to be as individual as you! 6 sheets = 1 month of wear. Number of Sheets 6 sheets = 1 month of wear. © 2008 and beyond. New in box. Absorbing Oil Sheets Stay Matte by Eveline. A matte and fresh-looking complexion is the basis for a good look. The problem with unsightly glaze. which will allow you to refresh your makeup in an easy and quick way. Instantly removes your face excess oil. Expired Date : 2020.7 yr or better. 100% Original. These very unique tissues are made from natural rice. 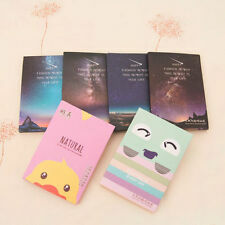 (40 Tissues - size : 2.50" x 1.75" & NT WT 0.35oz/ 10 g each). May contain: Iron Oxides. 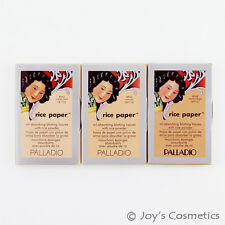 ALL 3 Colors of RICE PAPER .